OK, there’s much excitement in our house about Star Wars Angry Birds in our house. It’s a mashup of two of our favorite things. After playing it for a few days, we are still just as excited. 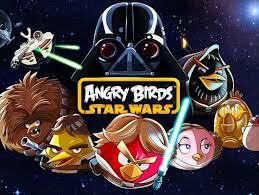 Who doesn’t like an Angry Bird with a light sabre slaying though evil storm trooper piggies. If you are interested you too can enjoy the fun and games. It’s available on just about every platform out there.